A soft orange light began to filter in on the horizon in this picture from Rockport, Texas. 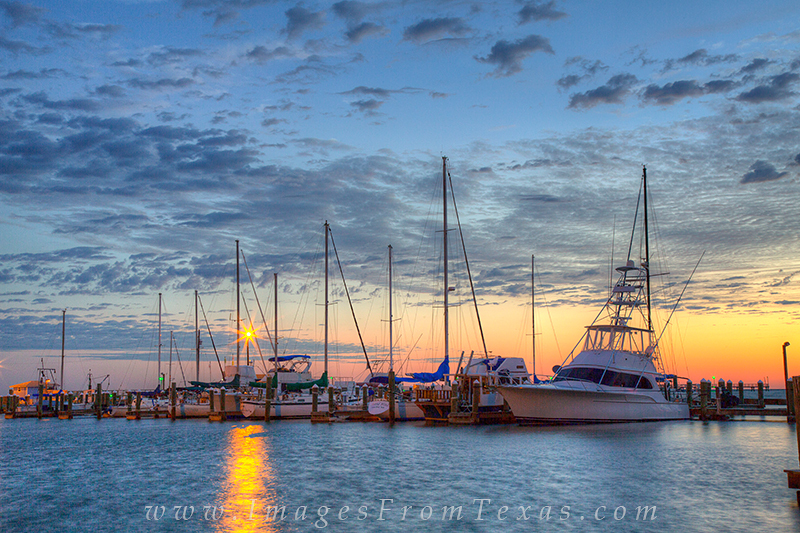 The boats rocked back and forth a bit and gulls cried overhead, but this was a peaceful scene from the Texas coast. Photo © copyright by Rob Greebon.